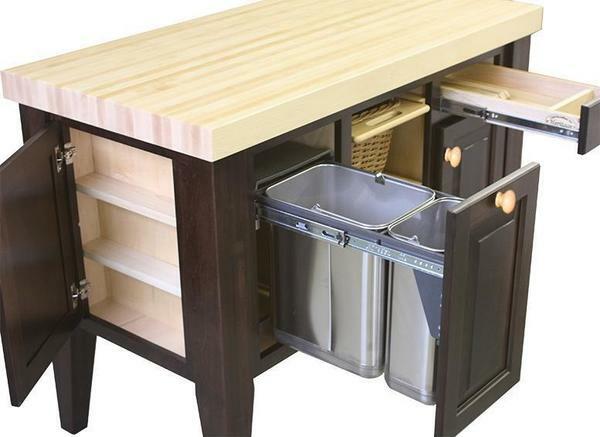 The Amish Multipurpose Kitchen Island is equipt with a number of storage space to store all your kitchen must-haves. This Amish Storage Kitchen Island base is shown in affordable brown maple wood but can also be ordered in red oak, cherry, rustic hickory, quarter sawn white oak or walnut. The stunning top is a 2 1/2" oiled maple wood offering a great spot to cut up your fruit and vegetables. Enjoy all the amenities of this kitchen island crafted with care and quality right in your own kitchen! Shown in Brown Maple with Acres Finish Base and Maple Top with Oil Finish.